There are a lot of benefits we can get from apricot fruit. In Latin, apricot called plum Armenia. According to research, Apricot contains beta carotene. These antioxidants can help prevent heart attack, reduce the level of bad cholesterol in the body, and reduce the risk of cancer. Additionally, apricot seeds nutritious to strengthen the respiratory system so as to reduce cough and asthma. Apricots also have a relatively high content of fiber can be used as a reliever as diarrhea or constipation. Although small, fresh apricots is perfect for low-fat diet because it's fiber, particularly soluble fiber, and absorb water, thus contributing to a feeling of fullness. The fragrant aroma of apricots makes dieting so fun. While in China, the fruit is commonly used to help regenerate body fluids, detoxifying, and relieving thirst. Apricot good consumed directly or dried and eaten as a dried fruit. The fruits are also good in the juice, jam, and jelly. Apricots are rich in fiber can overcome constipation and facilitate defecation. Apricot oil was good for sore ears. Apricot is a fruit with golden skin and a velvety texture. The fruit has a sweet and tangy flavor. Apricots have seeds that can be extracted into apricot oil. Apricots are rich in essential nutrients such as vitamin A, vitamin C, beta carotene, calcium, and potassium. An apricot weighing about 40 grams, contains 17 calories, 4 grams carbohydrates, 0.5 grams protein, 3 grams sugar, 1 gram of dietary fiber, 1 gram of fat, and no cholesterol. Levels of vitamin A in apricots was 914.20 IU with the amount of beta carotene 544.95 mcg, 3 mcg folate, and 1.2 mcg of vitamin K. The fruit has high levels of potassium which is 104 mg, 3 mg of magnesium, and 7 mg phosphorus. Additionally, apricots also have high levels of lycopene. Apricots are available in fresh and dried forms. Both are nutritious and offers a variety of health benefits. Dried apricots are considered to have higher health benefits than the fresh form. This is due to the nutrients are more concentrated in dried apricots. However, dried apricots tend to contain preservatives that may not favored some people. The high levels of beta carotene in apricots, useful improve eye health, especially in preventing macular degeneration. Beta carotene is a powerful antioxidant that can protect the body from many health problems such as Alzheimer's disease. Apricots are rich in antioxidants such as vitamin C and lycopene. These antioxidants may reduce the risk of some cancers and heart disease. Apricots can be used to treat anemia. This is because the apricots contain minerals such as iron and copper that helps in the production of hemoglobin. Apricots health benefits including its ability to relieve symptoms of asthma, tuberculosis, and bronchitis. 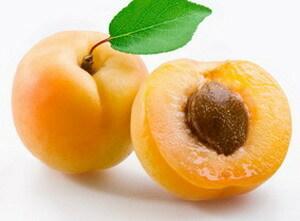 Apricot oil was found effective in skin care. In addition to making your skin glow and smooth, apricot oil is also able to treat scabies and eczema. Apricot oil is also said to be good for sore ears.